The Hemsleys are coming to Berlin. The Hemsleys are coming to Berlin? Aaaaaahhhhhhh!!! When I found out about their visit a few weeks ago, I briefly turned into a screaming teenager before I regained my composure and arranged to meet them. 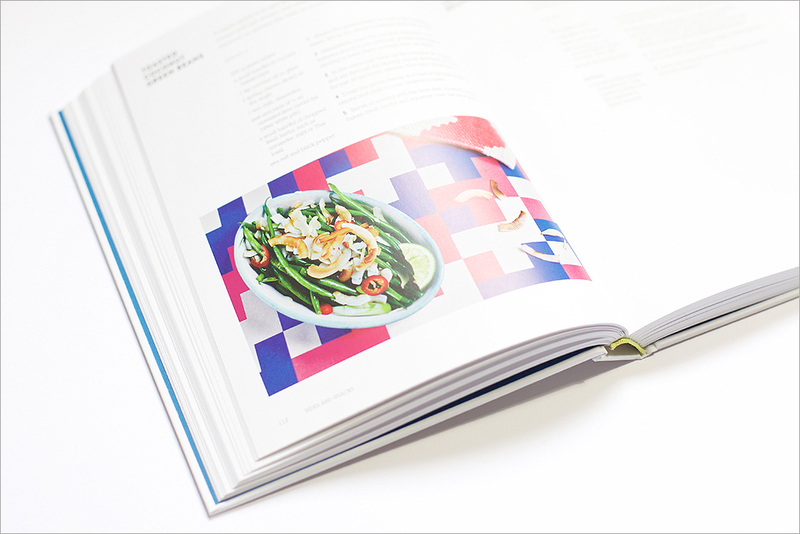 Which tells you how much I love their cookbook „The Art of Eating Well“. I love the blueberry pancakes with mango cashew creme and the acai bowl, the quicker-than-toast courgette salad and the toasted coconut green beans, the cucumber maki crab rolls and the black bean brownies. 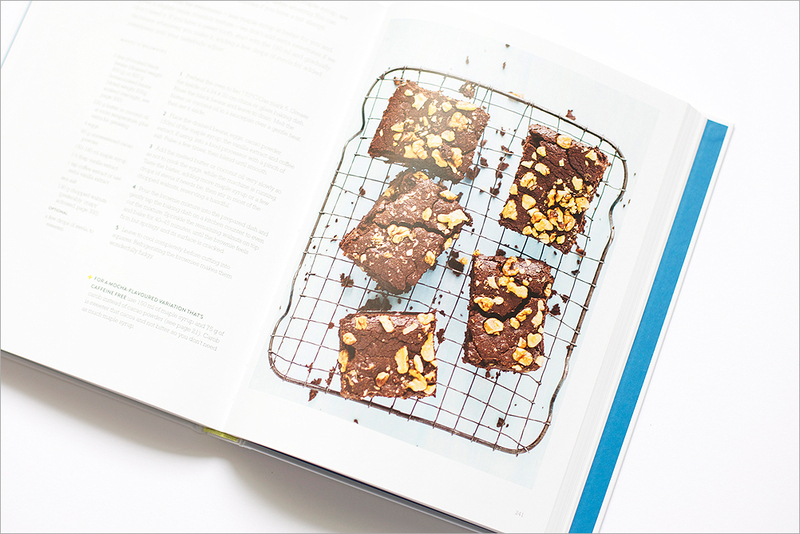 Holy moly, the black bean brownies! 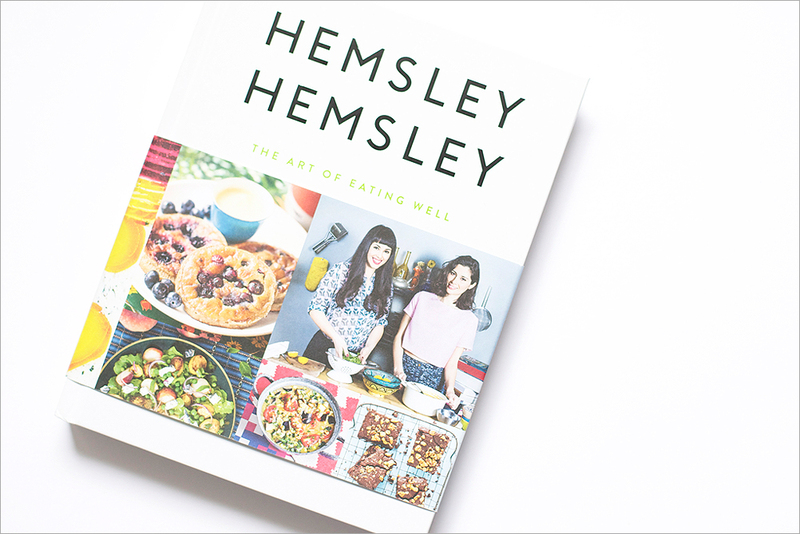 What might not be immediately obvious: the Hemsleys don’t use sugar in their dishes and you won’t find ingredients like white flour and other grains in their cookbook either. Recipes that skip precisely on the things I find the most convenient to make and eat – namely sandwiches and pasta – tend to make me suspicious. I get grumpy when someone takes something from my plate that I enjoy. That’s why I’ve never lasted longer than a week going on a diet and when I did I went almost bats from hunger. With that particular form of torture you were only allowed to eat eggs and steak for two weeks. There might have been other delicacies like raw celery on the menu, but I’ve forgotten what they were. With the four kilos I shed, and instantly put back on afterwards, I also lost some brains. I also don’t need a complete nutrition rehaul. We eat pretty well most of the time. But I’ve found that the Hemsley’s cookbook works like a gentle reboot, especially after those weeks when the empty frozen pizza boxes are stacking up in the kitchen, we get a lot of takeaways and I suddenly find the previous night’s rice with some honey drizzled on top a totally acceptable lunch. Those weeks always make me feel lethargic and constantly hungry. 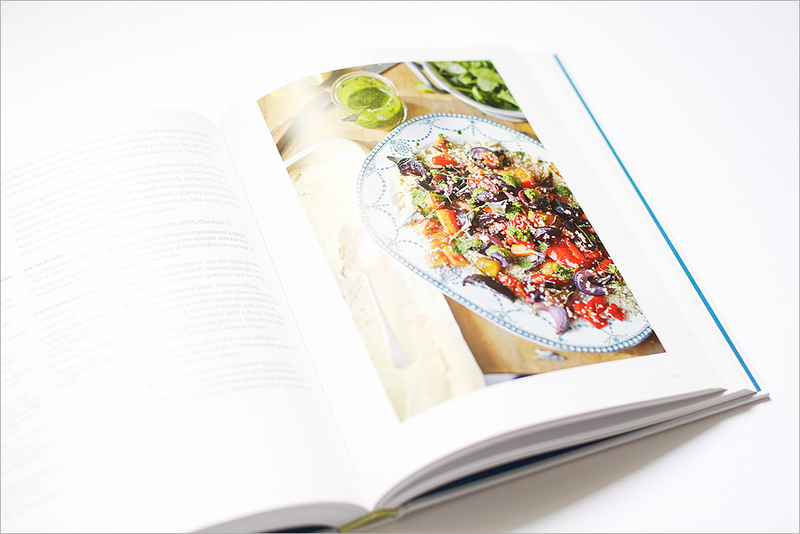 The dishes I’ve tried from „The Art of Eating Well“ aren’t an art form, which is what’s great about them, and besides being easy to make, they are delicious and filling. 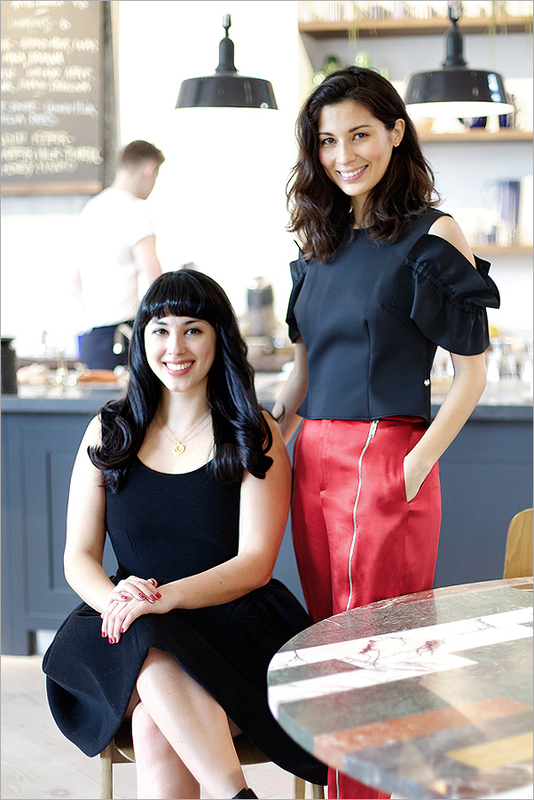 Hemsley + Hemsley have turned their philosophy, to simply „celebrate food“, into a blog for British Vogue and now into a cookbook with straightforward and yummy recipes. Besides being smart cookies, Melissa and Jasmine also turned out to be really funny, sweet and a delight to chat with. I could’ve talked to them for hours, but since I only had 15 minutes I asked them for five ways to kickstart a better way of eating. 1 | We’re sure everyone expects us to say things like: buy maca. Or: eat lots of goji berries. But change starts much simpler. 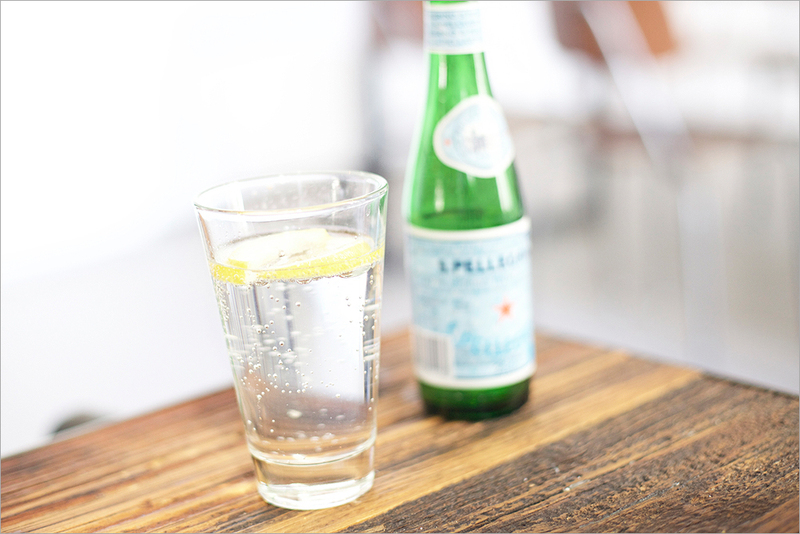 For one thing, drink more water. People often confuse hunger with thirst. You can think straight once you’ve had some water with lemon juice and a bit of ginger that curbs your cravings and helps tune in to what your body is really trying to tell you. So, keep hydrated! 2 | Change your cooking oils. Saturated fats are more heat-stable, so along with extra virgin olive oil and flaxseed oil, use butter, ghee and coconut oil. They release energy slowly, plus they make your food taste better. You need fat to absorb vitamins. So not only will your food be more nutrient-dense, it will also be more satisfying. 3 | Eat home-cooked food. That doesn’t mean you have to cook every day. We do a Sunday cook-off where we make big batches of food. We’ll make double the amount and freeze half it for later in the week, which saves a lot of time and money. 4 | Chew more. There is no point in eating the best meat and organic veg, when you’re not chewing your food properly. It’s not ‘you are what you eat’, it’s ‘you are what you can digest’. Always pay attention to your gut. 5 | Don’t eat late at night. Otherwise you will be digesting in your sleep instead of detoxifying and repairing. You have a baby that doesn’t care about a regular schedule? Then the other points are even more important. 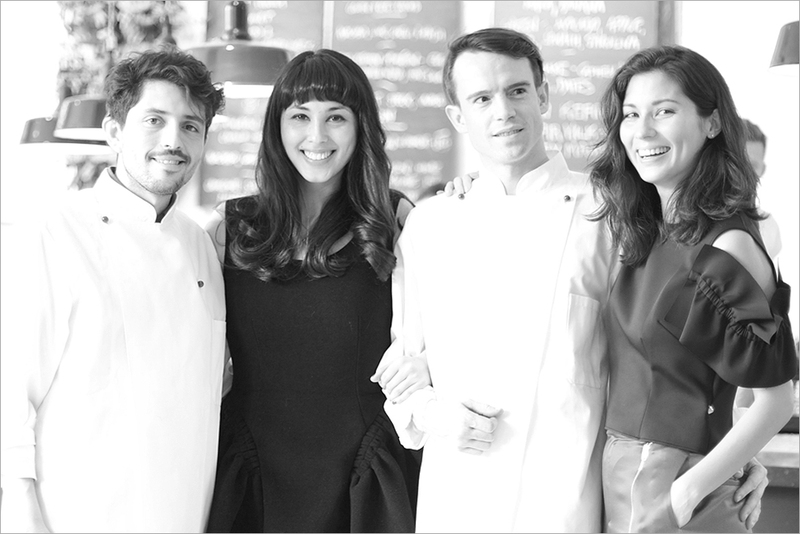 Melissa and Jasmine before their book presentation with cooks Tommy Tannock and Johnnie Collins from The Store at Soho House Berlin. Who, incidentally, also make amazing food. 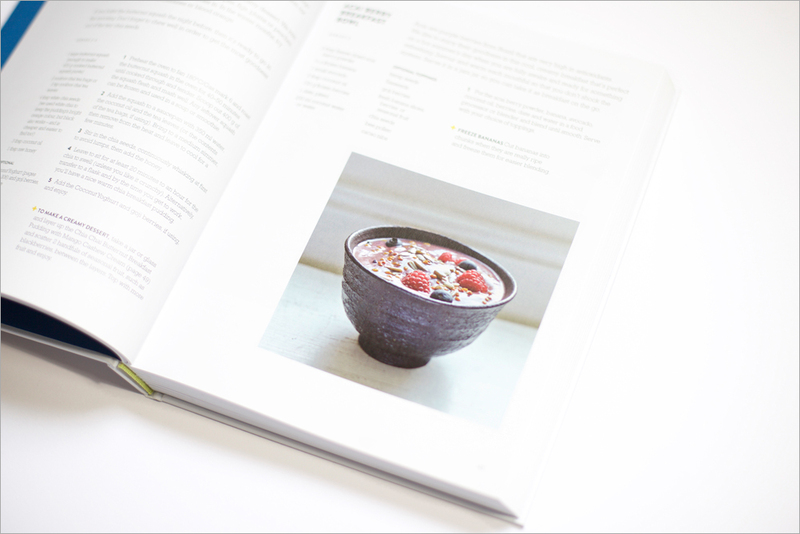 This entry was posted in food and tagged Hemsley + Hemsley, Jasmine Hemsley, Melissa Hemsley, The Art of Eating Well. Bookmark the permalink. Post a comment or leave a trackback Trackback URL.